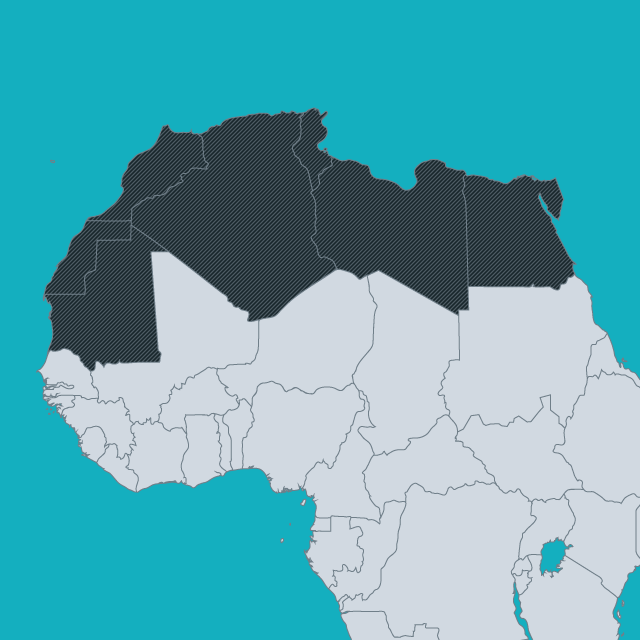 The North Africa region recognised by the African Union includes all the Mediterranean littoral states, as well as Mauritania. In January 2017, Morocco rejoined the bloc, following its readmission to the AU after 33 years of absence after it withdrew in protest when the AU recognised the Sahrawi Arab Democratic Republic (Western Sahara). The common Arab and Muslim heritage has shaped many of the nationality laws, as well as French influence in Morocco, Tunisia, Algeria and Mauritania. Many of the laws create easier access to nationality for people of who are Muslim and speak Arabic. However, the North African region has seen much stronger movement towards gender equality in transmission of nationality than has the Middle East. The contested status of Western Sahara and of Palestine create two of the groups at greatest risk of statelessness in the region, with a large population of stateless Palestinians, especially in Egypt; and refugees from Western Sahara in Algeria having their Sahrawi nationality recognised by only a few states internationally. A number of Saharan nomadic groups speaking languages related to Berber (Tamasheq) have historically faced difficulties in obtaining recognition of nationality; a situation that has been exacerbated by the breakdown of order in Libya. Egypt’s multi-million-pound citizenship to foreigners: Who gets it?